Your iPhone became completely broken and inaccessible after an accidental drop? If your iPhone is inaccessible and completely irreparable, you will stand a chance to lose all your notes, photos, videos, messages, contacts, call logs and other important files. This is a catastrophic situation for any iPhone user. Once your iPhone is declared irreparable, you should then prepare the best iPhone data recovery program to retrieve all your important data from the broken iPhone before everything gets worse. In the following part, we will go through how to get notes back from a broken iPhone. These methods also work for other files stored on your device. What to be introduced in this article is iMyFone D-Back. 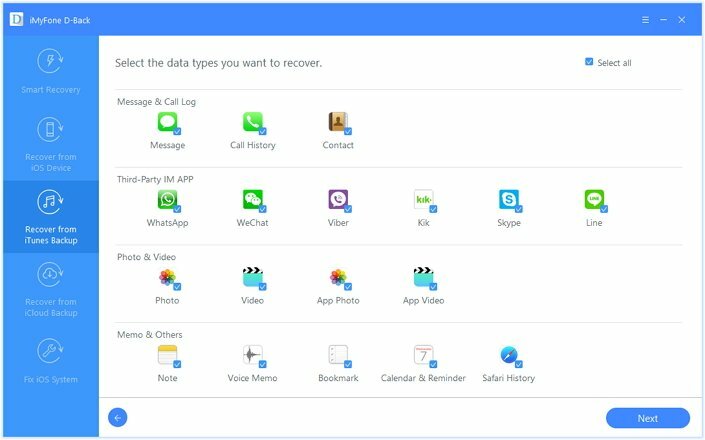 It is an excellent iPhone data recovery software available for PC/Mac. The powerful features make it very easy recover notes from your broken or dead iPhone. Besides, the software has a straightforward and easy to use interface that allows any user to retrieve their data of interest. 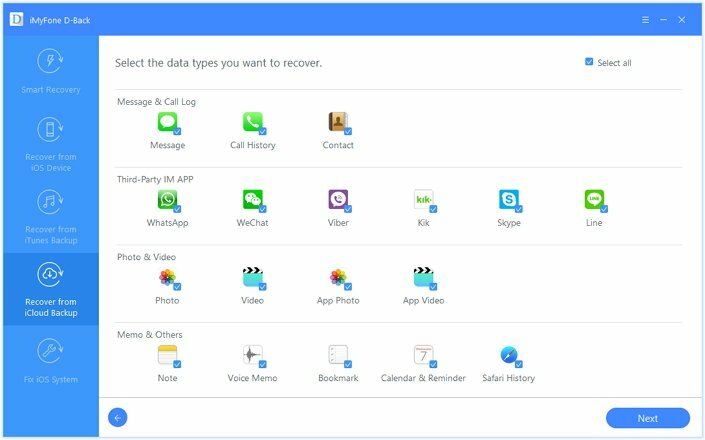 iMyFone D-Back is an excellent iPhone data recovery software installed in your computer, which offers the easiest way to recover data from your broken or dead iPhone. The software has a straightforward and easy to use interface that allows any user to retrieve their data of interest. 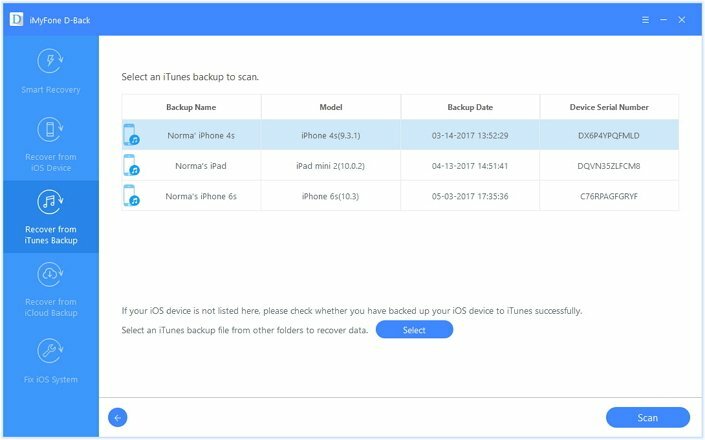 4 Recovery Modes: smart recovery, recover from iPhone/iPad directly, recover from iTunes backup and iCloud backup. 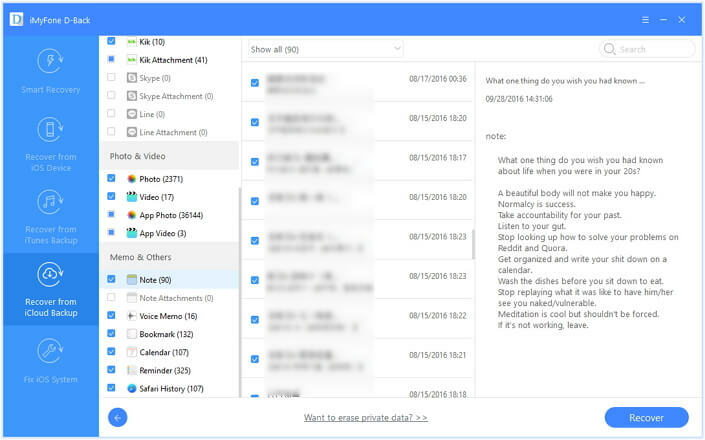 Support 22+ Files Types: Can find and access photos, notes, contacts, messages, WhatsApp and more. Selective Recovery: Can only recover the files you need. No need to restore the whole backup. Preview: : Preview feature allows you to better select the exact data you want to recover. Compatibility: Support with iPhone XS/XR/X/8/7/6/6s/SE/5/4 in iOS 12/11/10/9, and all Windows/Mac version. Security: iMyFone D-Back is totally secure and your personal and crucial information is 100 percent protected with full encryption and highly advanced fraud protection mechanism. "Recover from iOS Device" mode requires you to connect the iPhone to the computer and since your dead/ broken iPhone cannot be recognized by a computer, this mode is not applicable in this case. You can only use the "Recover from iTunes Backup" or "Recover from iCloud Backup" mode. You need to first download and install the iMyFone D-Back in your computer. Step 1. Launch the iMyFone D-Back on your computer. On the main panel, select "Recover from iTunes Backup" tab and then click the "Start" button. On the new window, select "Notes" as the type of data you want to extract. Step 2. Backup files will be displayed. Select an iTunes backup file of interest and click the "Scan" button. Step 3. Once the scanning process is complete, preview the data and select the exact data you want to extract. Click "Recover" and on the pop-up window select the location in your computer where your extracted files will be saved. Wait until the software has completed the extraction process. Step 1. Launch the iMyFone D-Back on your computer and on the main window, select the "Recover from iCloud Backup" tab. Click the "Start" button to commence the process. Select the file types you want to extract ("Notes") and click "Next". Step 2. 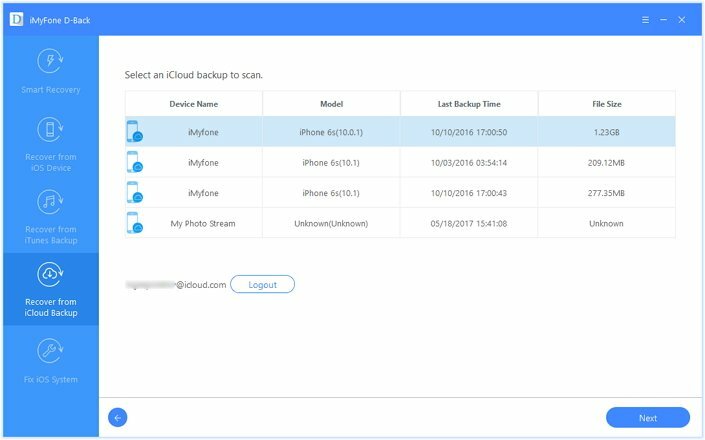 Login into your iCloud account and select your backup file of interest. Click "Next" to start the scanning process. This will take a few minutes. Step 3. After the scan has successfully completed, preview the displayed scan results and then select the notes you need to recover. Click "Recover" and specify the location on your computer where you want the extracted data to be saved. Here is how to recover notes from broken iPhone. You can also use iMyFone D-Back to recover any other important files following steps above. If you are interested in it, just download the free trial below!